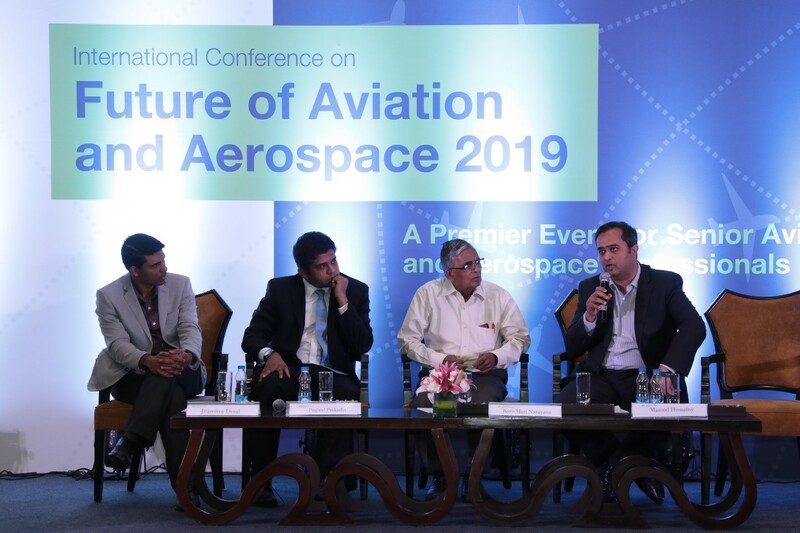 Bangalore : The Indian Institute of Management Bangalore (IIMB), in collaboration with Toulouse Business School (TBS), France, today hosted the international conference on Future of Aviation & Aerospace 2019, a premier event in the presence of industry experts and aerospace management professionals. Organized by IIM Bangalore for the second consecutive year, this edition of the conference, timed during ‘Aero India’, the premier aviation event in the country, saw participation from aviation experts from across the world, executives from major airline companies, alumni of the General Management Programme for Aerospace Executives (GMAE) at IIMB and the present batch of students of the program. At the inauguration, IIMB Director Prof. G Raghuram, who sent his video message, highlighted the need to study the aviation value chain. “We need to encourage startups, and the right talent to bring in expertise to the aviation sector,” he said. Prof. S. Raghunath, from IIMB, observed that the remarkable relationship between IIMB and TBS has contributed to professionalizing managerial talent in Indian aerospace and commercial aviation sector through their management education programme. The passion, creativity and interest that the institutions have in common to promote aviation knowledge and understanding has led to the celebration of thought leadership through the future of aviation conference that brings together key stakeholders unravelling brighter possibilities and opportunities of India’s nascent aerospace and fast growing civil aviation sector. Dr. Christophe Benaroya, from TBS France, spoke about the need to explore industry from a marketing perspective. He said, “As much as policies are important for the sector, it is equally important for our services to be more customer driven. The data derived from the services should be rightly shared across supply chain to understand industry trends.” He added that the industry required talent management and leadership skills, bringing diversity across work. There were panel discussions on ‘Looking to India: Next Growth Opportunity, R&D in the Aviation Sector’, ‘Managing Talent in the Industry’, ‘Driving Real Insights Through AI, AM, IOT & Big Data’, ‘MRO – Opportunities/Challenges’, and ‘Redefining Customer Experience: Indian Market Opportunities’. Panelists in the session, ‘Driving Real Insights Through AI, AM, IOT & Big Data’ spoke about the importance of technologies in the aviation sector. Technologies such as machine learning, AI etc will help in optimizing operations and 100% utilization of assets. In a panel on ‘Startups: Their Role & Contribution to Aerospace & Aviation Industry’, the speakers emphasized the need for big firms to encourage and partner with startups. The conference came to a close with an alumni networking session.